In order to score well in SSC CHSL 2019 exam, all candidates should be aware about the SSC CHSL syllabus and exam pattern. It is crucial to know the structure of the exam and the syllabus that needs to be prepared in and out. SSC CHSL exam has three different phases that candidates need to clear to get selected for various posts in the Government Offices. SSC CHSL Tier I is Objective Multiple Choice Question paper, Tier II exam is Descriptive Paper in English/Hindi, while Tier III is the Computer Proficiency Test. •	The total time duration of the exam is of 60 minutes and total marks are 100 marks. •	All the questions are based on the concepts of 10th standard. •	The total time duration is 80 minutes for candidates who are visually handicapped or suffer from cerebral palsy. 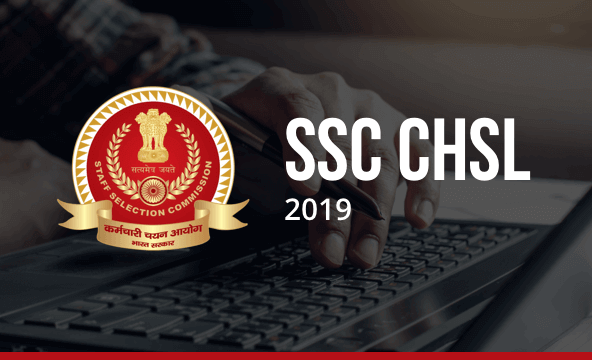 The Tier III of SSC CGL 2019 comprises of a couple of skill tests which are needed for selection to certain government posts. SSC CHSL is conducted in three different levels, the syllabus of all the three levels is different. All candidates must be well-informed about the latest changes (if introduced any) in SSC CHSL syllabus and exam pattern to prepare for SSC CHSL 2019. Keeping in mind the SSC CHSL, we are launching various Test Series, Classroom Programs and Seminars to guide you through your preparations.